Hello there Fabulouses! Are you in the market for a new sleek skybox? All three builds are beautifully textured, offer copy and mod options, and are decently low on land impact as well. 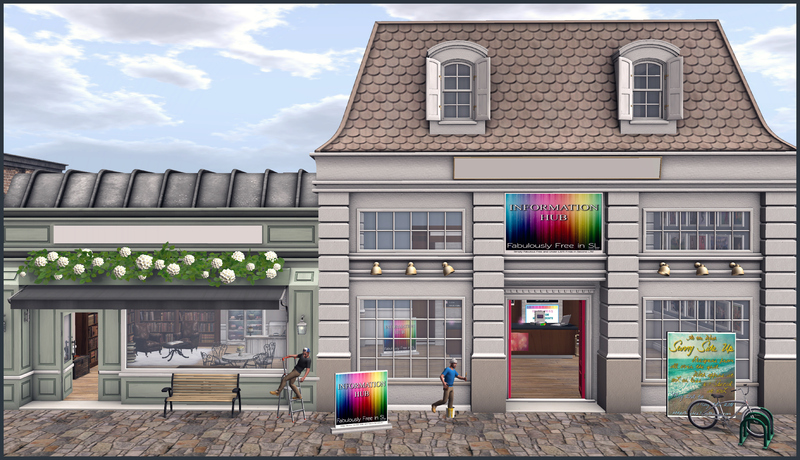 Categories: group gifts, groups, Home & Garden, Houses, mesh, skybox | Tags: 0L free, Diamandis, fab free, fabfree, fabulously free in SL, free in sl, Free Skybox, freebies sl, group gift, Love Trill, Second Life, second life gift, sl, sl free | Permalink. It’s not often you get the chance to own your own Underdark, especially for the price of just 1L. Zyn is offering their Mini Underdark Skybox on the Marketplace for just that! 1L and it’s yours. It’s only 47 prim and it’s rather detailed, with multiple cavern rooms, a water pool, stalagmites and stalactites, mushrooms, lanterns, and more. The picture above is taken in part of one of the detailed caverns! Roleplay is one of those fantastic past-times in Second Life and it’s always fabulous when you can come across some great gifts to add to your wardrobe. I stopped by the Menstuff lounge and there is a large assortment of menswear currently out that you can pick up for your one-time fee of 50L to the Menstuff group. Among the items was this “Morris” outfit. It’s really just a regular every day outfit, but since it doesn’t have any zippers and with the right accessories, I managed to turn it into a medieval one! It comes in a variety of mesh body sizes. It’s the details that make this outfit work as a roleplay outfit. I stopped by Noble Creations and picked up some “details” to make this into a roleplay creation. The Noble Creations group is free to join and these gifts were free to pick up. I picked up the Prince in Leather neck piece to add over the top of the Morris shirt. I also picked up the Medici Pouch belt to add to my waist. Take note… this belt fit a little funny at first. I had to edit it to my shape, but it comes with a handy resizer that allows for resizing on all axises separately for a perfect fit! I think the L’Homme group gift from Noble Creations really makes this outfit. It’s a set of horned Bracers and Pauldrons that really stand out. You could add some weapons to this outfit to complete your look. Perhaps a shield and an axe or a sword and you’d be ready to go warrior! As always, the L’Homme group is free to join so this gift is free as well! Categories: accessories, costumes, fantasy, fitted mesh, Free, group gifts, groups, Home & Garden, Houses, just for guys, Marketplace, mens, mesh, pants, shirt, skybox, Uncategorized | Tags: 0L, 1L, Astrid (Portia Swords), belleza, belt, bracers, Clef de Peau, Dura, fab free, fabfree, fabfree in sl, fabulously free in SL, fantasy, fashion, Fashism, free, free fashion sl, free in sl, free sl, freebie, freebies, freebies sl, gift, gifts, gor, gorean, group gift, house, Ikon, lelutka, Loki, medieval, Medieval Fantasy, mens, Noble Creations, outfit, pants, pauldrons, pouch, PowerDesign, Roleplay, RP, Second Life, Second Life Freebies, shirt, shoulder piece, skybox, sl, sl free, SL Freebies, SLink, Zyn, [CerberusXing] | Permalink. Hello hello Fab Free’rs! It seems I’d been “burning the midnight oil” where the Fab Free Designer Friday post is concerned. I really wanted to get this post out last night, but it just didn’t happen that way. My apologies for the lateness, however, I think browsing a shop like Circa Living might be a great way to spend a bit of your Saturday! Circa Living is a shop that specializes in just about all things home related. Not to mention they have been part of Second Life almost since the beginning with 10 plus years of creating. At Circa Living you’ll find everything for inside the home from furniture to decor, and some outdoor furniture and landscaping as well. Not only can you find items for in the home and outside the home, you’ll find some houses too. One of the group gifts at Circa Living is a skybox. I’m not sure if there is a specific style that could be attributed to Circa Living other than perhaps modern. There is such a wide range of fun and functional items to be had. There is certain to be something for everyone. There’s even a large teleporter at the entrance to Circa Living to help you get around. 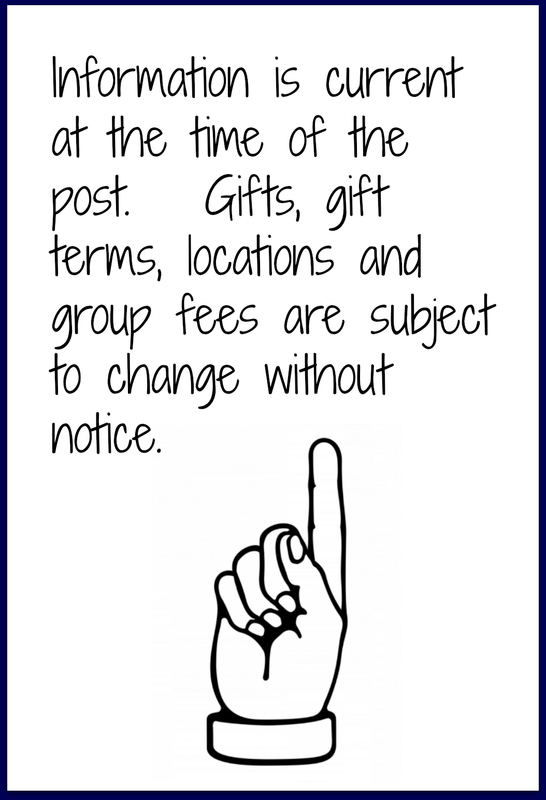 The same teleporter can be found as you enter the store, in the center of the circulation desk. The Circa Living entrance leads you through a short hallway that also has info about events Circa Living is participating in on the walls. The hall leads you to the circulation desk at Circa Living, where you’ll be greeted by another teleporter, and quite a few group gifts. One such gift is the Halloween themed wreath decor which is FREE for all Fabulously Free in SL group members. 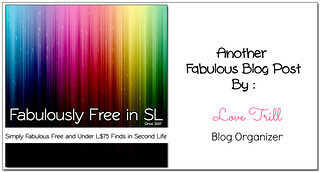 Just wear your Fab Free group tag! The Circa Living group has a join fee of 500 linden. Once you join the Circa Living group you’ll have instant access to all the currently available. So whether you’re looking to spruce up your space, or you’re in the market for a new place all together, Circa Living has you covered! Categories: FabFree Group Gifts, FF Designer Of The Day, Free, furniture, gacha, group gifts, groups, Home & Garden, Houses, mesh, other, places, skybox | Tags: Decor in SL, fab free, Fab Free Designer Friday, Fab Free Designer of the Day, fabfree, fabulously free in SL, FFDF, Furniture in SL, Group Gifts in SL, Home Decor, Second Life, Second Life furniture, second life group gifts, Shopping in Second Life, sl, [CIRCA], [CIRCA] Living | Permalink. Hello hello Fab Free’rs! It’s a new year, so why not make everything new?! Recently I posted about new skins and even some lingerie. Today I’m having fun with some furry new friends, a cute new outfit, and a brand new space to call home. Keep reading to find out the how and where you can get each of these FREE or inexpensive items. First, let’s talk about these adorable fur babies! The adorable little guy on the cushion is not only as cute as he can be, he’s also completely FREE. You can pick this little guy up at Japonica, he is a FREE gift from TLC Animated Animals. Part of what makes him (or her!) so adorable is that he is animated. This little puppy wags his tail and moves his head. There are also little particle feathers that come up out of the cushion where the little rascal tore it. To take him home all you need to do is purchase the box for zero linden from the TLC shop at Japonica. The second equally adorable puppy in my arms is also at Japonica. There several variations of this furry friend by Who What, each wearing a pretty little kimono. These pups are a gacha item, the one I have is called “Friday” and is one of the common gacha prizes from the Who What gacha at Japonica. This sweet puppy has the hold animation shown (the ground sit is part of Pru’s AO) as well as a typing animation. When you type in local chat the pose will change so that you are holding your puppy and vertically instead of horizontally and cute hearts and butterfly particles are emitted. To get your sweet kimono wearing pup just play the Who What gacha for 48 linden per play. If you haven’t checked out the more recent Fab Free group gift listing, you should. This sweater and leggings combo is the current Fabulously Free in SL group gift from MOoh. It’s the kind of outfit that can be perfect for a lazy casual day or be dressed up for a comfortable yet put together look. The outfit comes in several mesh sizes and includes a color change hud that lets you choose the color of the sweater. The Fab Free group is always FREE to join, if you’re not already a member. Did you happen to notice the gorgeous textures in the room Pru’s sitting in? This photo is a narrow view of the studio apartment style skybox group gift at Kraftwork. This one room skybox is beautifully textured and comes in a “daylight” and a “moonlight” version. The shades and hues are slightly different depending on which version you use. I chose the daylight version, and the appearance of light through the windows is from the windlight settings I used. I love the added illusion of an exterior treeline through the windows. To get your copy of these pretty little skyboxes just join the Kraftwork group and click the group gift vendor near the landing point. The Kraftwork group is just 25 linden to join. *Poses – Groud sit is from Pru’s personal AO / the hold pose is part of the puppy. Categories: events, FabFree Group Gifts, Free, gacha, group gifts, groups, Home & Garden, Houses, mesh, other, pants, shirt, skybox | Tags: Absence, animated puppies, dogs in Kimonos, elikatira, Exclusive Fab Free Gift, fab free, Fab Free Group Gift, Fab Free in SL, fabfree, FabFree group gift, fabfree in sl, fabulously free in SL, Fabulously Free in SL group gift, free, Free Clothing in SL, Free Gift at Japonica, free gifts, free in sl, Free Outfit, Free Outfit in SL, Free Puppy, Free Skyboxes, freebies, gifts, Gorup Gift Skin, Group Gits, holdable puppies, Japonica Free Gift, Japonica Freebie, Kimono Puppies, Kraftwork, Kraftwork Group Gift, Kraftwork Group Gift Skyboxes, MOoh, MOoH! Fab Free Group Gift, outfit, Prudence Rexroth, Pumec Group Gift, Pumec Lola, puppy gacha, Second Life, Second Life Freebies, Skyboxes, sl, sl free fashion, sl freebie, sl freebie blog, TLC, TLC Animated Animals, TLC Freebie, TLC Gift at Japonica, who what, who what gacha, who what gacha at Japonica, [PUMEC], [ROC] | Permalink. I almost missed out on telling all you Fabulous readers about the Sn@tch 10th Anniversary Sale & Specials! It ends July 19th, so you still have a couple of days, and you don’t want to miss out! In addition to lots of extra ways to win free clothes, almost everything in the store (this does not include new releases, marketplace, or gift cards) is 50 – 75% off! Extra prize winning machines have been set out at Sn@tch for this special week, including an Unlucky Dip… except that it’s lucky! It gives out a prize every single time! I took a dive and came up with a free Sn@tch Skybox of Evil! This skybox is a Gothic skybox and is full-size and simply amazing. It even included decorating accessories such as a bed, candelabras, rugs, and a plant. The skybox itself was 81 prim, but for such a roomy and well textured skybox, that’s not bad! I took my picture in front of the window of the skybox… which was my favorite part! Our wonderful Sn@tch creator has set out new Lucky Letter Board prizes and you can win lots of great prizes for free if your letter comes up! I won the Atom Bomb Baby Tank top for free when my letter came up! It comes in all the standard sizes, but I love that it is a fatpack of colors! You’ll have colors to match all your moods for free! Have you forgotten Sn@tch‘s new Freebie and Cheapie area? I had! I took a peak over there and snatched up these free Raji Floral leggings. These are mesh and come in all the standard sizes and for 0L I was able to get them in a fat-pack of colors. They matched my new free tank top too! I’m all set! Categories: Free, Houses, Lucky Board, mesh, other, pants, shirt, skybox, Uncategorized | Tags: 0L, Astrid (Portia Swords), Catwa Tumble, damselfly, fab free, fabfree, fabulously free in SL, fashion, Fashism, free, free fashion sl, free in sl, free sl, freebie, freebies, freebies sl, gift, gifts, Glam Affair, Ikon, leggings, lucky dip, maitreya, pants, Second Life, shirt, skybox, sl, Sn@tch, top, Unlucky Dip | Permalink. But Carson who lived just North of Fab-ville did not! Carson hated Christmas! The whole Christmas season! He would steal their presents to make them cry boo hoo! Then he slid down the chimney, a rather tight pinch. But if Santa could do it, then so could this grinch. He got stuck only once, for a minute or two. Where the little Fab stockings hung all in a row. Stuffed all the bags, one by one, up the chimney. Just North of Fab-ville Carson did go. With presents and goodies and the dog in tow. That Carson’s small heart grew three sizes that day! Maybe Christmas, perhaps, means a little bit more! Categories: Free, furniture, gacha, group gifts, hair, Houses, just for guys, mens, pants, pets, shirt, skybox, Uncategorized | Tags: 0L, Adam & Eve, Alter, Arcade, Bi-Annual Cart Sale at The Wash, Blueberry, Carson Caiben, Cart Sale at The Wash, Cosmopolitan, Dark Water Design, fab free, fabfree, fabulously free in SL, fashion, free, free fashion sl, free in sl, free sl, freebie, freebies, freebies sl, gift, gifts, just for guys, mens, Mens Where?, Midwinter Fair, mutresse, Opassande, Second Life, sl, Tips for New Residents, Uncategorized, United InshCon, [bade] | Permalink. The holiday grind has not gotten to me yet… in fact today I’m enjoying it! Gothmas style! Though I admit, I did wake up early to make pancakes. Does it count as Gothic if I made the pancakes in the shape of little bats and “colored” them with Nutella to get them to look right? I know my daughter was certainly thrilled! Speaking of the holiday grind… the Radio Grind has everything you need for a Gothmas! Or just for a Gothic day… or steampunk (it could qualify for that with the right decor). Either way, I stopped by the Cart Sale again, and made away like a banshee! The Radio Grind has me dressed up in style in this Storypunk Wonderland Red dress. It is mesh with lots of sizing choices to fit your avatar… and at only 10L for such fabulous details? I fell in love! If red isn’t your thing, don’t worry! This same gorgeously detailed dress was at the cart in two other colors for the same low price, one of which was a soft floral blue, pretty enough for the spring days to come. So it’s the holiday. Merry Gothmas and Happy Holidays (all of them) and good cheer for the New Year! Are you loving my set? Me too! Would you believe that this AMAZING skybox is only 10L at the Radio Grind cart at the Cart Wash Sale?! The skull throne and curtain were included details from Radio Grind skybox, though I did toss down a few things of my own for this picture. You can get the Glyphic Circle by Nocturne Creations from the Marketplace for only 50L. It is animated and scripted to turn, and only 3 prim when you set it down. I also set George out again. He joined me once before in a long ago post. My hellpup is a sweet Gacha prize you can get in store from Sweet Thing. It is just a touch over our 75L limit, but I had to share him with you! For just 80L per spin you can get a chance at this cute pup — either in holdable or the “plop” option shown. And he comes in lots of classic Gothic styles! Last, but certainly not least, I hope you are still making all of your advent stops! Many stores are finishing off with grand finales today! My lovely little Kiss Me Holly stick pin is by Chop Zuey and is FREE with your group tag (350L to join). This advent is generous indeed in that there are 12 days of group only gifts (the group is 350L to join) with a men’s side and women’s side (so 24 gifts total there alone) PLUS an additional completely FREE advent with 12 days of FREE gifts too! And the advents for this store are open the full time so if you miss a day you can still get all the gifts. Be sure to pick them all up before they are gone! Categories: accessories, december advent, dress, fantasy, fetish, Free, furniture, gacha, group gifts, groups, Houses, jewelry, Marketplace, mesh, other, skybox, Uncategorized | Tags: 10L, aisling, Astrid, Astrid (Portia Swords), Astrid de Manyet, Azoury, Bi Annual Cart Sale, Cart Wash Sale, Chop Zuey, christmas, dress, Essences, fab free, fabfree, fabulously free in SL, fashion, Fashism, free, free fashion sl, free in sl, free sl, freebie, freebies, freebies sl, gift, gifts, gothic, group gift, holiday, Ikon, Lorien, maitreya, market place, nocturne creations, Portia Swords, Radio Grind, Second Life, sl, SLink, SpellBound, steampunk, Sweet Thing | Permalink. Don’t I make a cute Bunny Doll. You too can be a bunny with a 50L pull of the Pink Acid – Tea Time Bunny gatcha machine at The Seasons Story event which runs til Oct 30th. There are 3 chocolate bunny heads, 3 pink bunny heads, 2 ear head and and some tea to be won. My FREE sweet lace Sophia mocha mesh dress is the Oct group gift from Jinx. 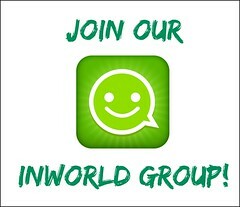 Group is FREE to join. I’ve been DOLLED again, this time in a fashion doll version. This vintage doll box is a FREE gift til the end of Oct from DH on the Marketplace. Just like with fashion dolls there is even a comb on the side of the box to brush my hair. This store’s items are very nice quality should anything else in the shop catch you eye. I have on the same Jinx dress mentioned above. My Karin mesh hair is also at The Seasons Story and it is their 2 anniversary so many stall have FREE gifts. My hair is the FREE gift from the DUE stall. The mesh Velvet Bow however is separate but can also be found for FREE at The Seasons Story at the Fawny stall. They work well together and of course work well as separates. Any good fashion DOLL comes with add ons. Maai came thru with a new FREE group gift, group is FREE to join, for the Glimmer doll with this lovely Ivana lingerie Black. It comes with system layers and as always Maai has given plenty of appliers including Omega, TMP and slink. In B flick horror movie fashion, I am asking the silly question “hmmm should I be standing here in the haunted house with blood on the walls in my lingerie”? If I turn up dead it was the Psycho Killer with the chainsaw I ran towards ROFL. I found this Candy cloud: spooky mansion skybox 15LI on the Marketplace for FREE. It even has lightening. I used it in Pic 2 also. Now this DOLL is heading to her Dream House, be DOLLICIOUS everyone! Categories: appliers, dress, events, Free, gacha, group gifts, hair, lingerie, mesh, Mesh Heads, skins, skybox, Uncategorized | Tags: 0L, 0L free, Due, Fab Free Fabulously Free in SL, FabFee in SL, Glimmer Odets, Jinx, Maai, Pink Acid, Reign, REIGN Clearance Shop, SLink Flat Feet, The Season Story, Wasabi Pills, WoW Skins, [PUMEC] | Permalink. 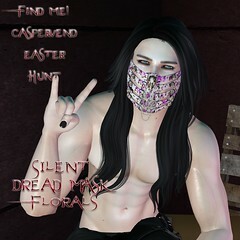 The Twisted Hunt (9/19-10/19) is well under way and although dubbed the hardest hunt on Second Life, the prizes are worth the effort. Today, I’m showcasing Finishing Touches main hunt gift the Qi Skybox, side hunt items and a corresponding gacha collection. The skybox and all the furnishings have a modern Victorian Gothic influence in a black, white and grayscale palette….perfect for a sophisticated Halloween. Victorian Gothic is an architectural style and movement during the mid-late 19th century, often seen as a sub-style of the broader Gothic Revival style. It is characterized by gothic details, decorative patterns, scallopping, lancet windows and hood moulding. Architectural elements such as pointed arches, steep-sloping roofs and fancy carvings like lace ant lattice-work were applied to a wide range of Gothic Revival objects. The movement is all about drama and elegance with lavish interiors, curved ornate furniture and plenty of decorative details. Finishing Touches Qi skybox has a decorative pattern tiled ceiling, tall narrow pointed arched windows, oversized white candle fireplace and white/black wainscoting. I styled the Victorian living space with the tufted curved black & white sofas, armchairs and stools enhancing the ornate detailed birdcage chandeliers and patterned tapestry wall hangings. Pops of red, hanging boston ferns, potted palms and framed Victorian silhouette complete the space. To commemorate the 11th Twisted Hunt, Finishing Touches is offering a side hunt with eleven gifts that correspond to the gacha collection. The hunt items include 3 versions of a skirted table, 3 versions of hanging tapestry, couple rugs with pillows, Persian Grey wrinkled rug, box of skulls, pumpkin trio and ceramic vase. All side hunt gifts can be found in the Twisted Qi skybox (the main Twisted Hunt gift). Do you love the Qi skybox? 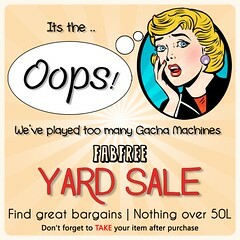 Need to furnish it, then check out the gacha for beautifully twisted coordinating decor priced at $50 per play. Try your luck at black or white caged chandeliers, shadow box frames, tulip lamps, coffee tables, and tufted stools (see key below). Lastly, 24Karat Roux, owner and creator of Finishing Touches is offering the Rolled Arm Couch & Chair in White Leather and Black Leather for 50% off the regular price during the Twisted Hunt. The couch and chair were designed to coordinate with the Twisted Qi skybox hunt gift and Twisted gacha decor items. Hope you are inspired to create an elegance spooky gothic Halloween using the Finishing Touches free Twisted hunt gifts. Happy Hunting! 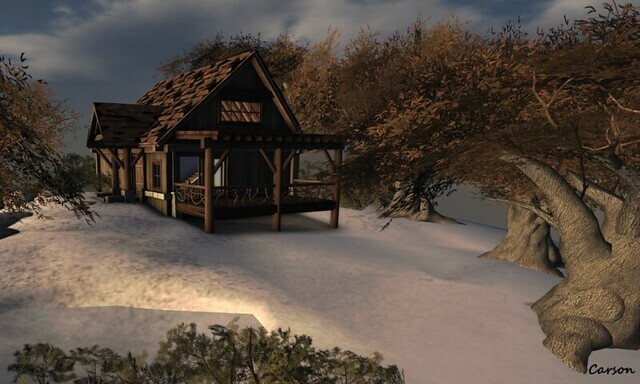 Categories: fantasy, furniture, gacha, Home & Garden, hunts, mesh, other, skybox | Tags: $0 linden, $50 Lindens, 0L, 50L, black & white, cheapie, decor, fab free, fabfree, fabulously free in SL, Finishing Touches, free, free hunt, freebie, gacha, gacha, Gloria Silverstone, gothic, Gothic Revival, Gothic Victorian, guest blog, halloween, hunt, hunt gift, hunt prize, living room, Second Life, sl, twisted hunt, victorian | Permalink.